WELCOME to The Ramírez-Andreotta Integrated Environmental Science and Health Risk Lab. Here, research programs revolve around developing a fundamental understanding of the fate and transport of contaminants in the environment, with a primary focus on plant-soil systems and phytotechnologies to improve soil and air quality. Dr. Ramirez and her team are committed to serving the community and building citizen science programs to increase public participation in environmental health research, developing low-cost environmental monitoring tools to improve exposure estimates, and designing effective risk communication and data report-back strategies to improve environmental health literacy. 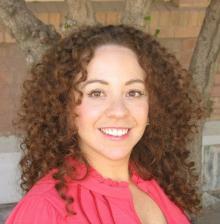 Dr. Ramírez-Andreotta is dedicated and has been successful in reaching underserved populations. Dr. Ramírez-Andreotta and her lab function under the philosophy that in order to successfully engage communities and students, it is essential to address critical environmental health problems identified by the community, and then work collaboratively through the problem-solving and research process.